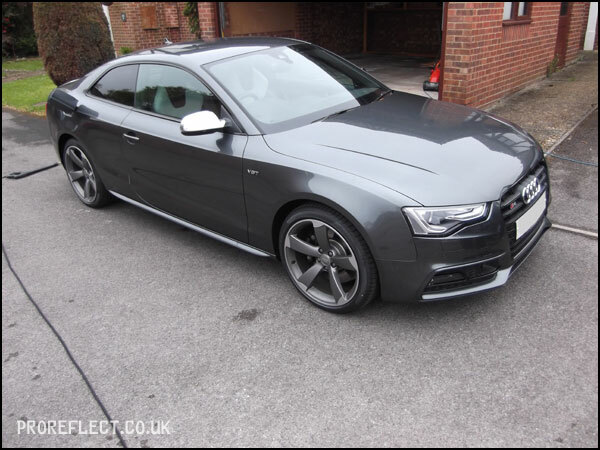 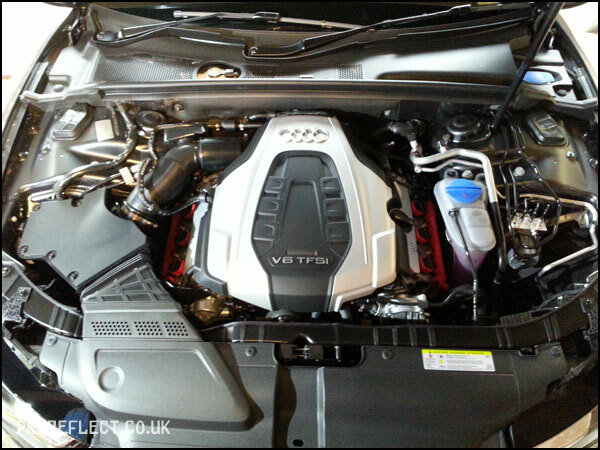 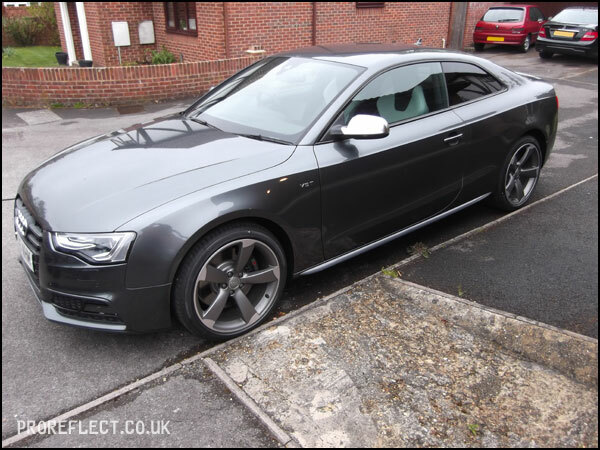 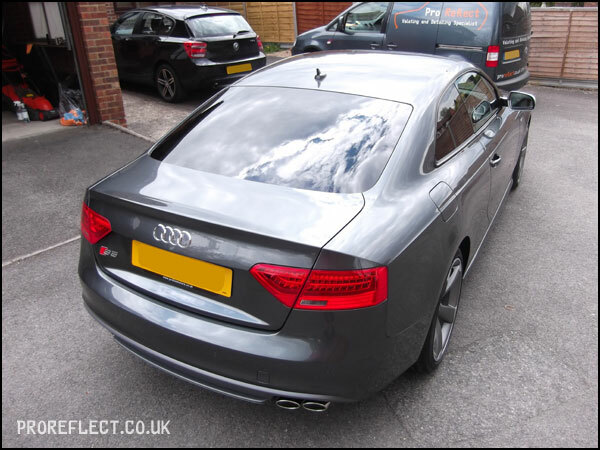 I had instructed my client to tell the dealer not to touch his new 2015 Audi S5 apart from taking off the protective wrappers so that he could drive back from Milton Keynes safely. 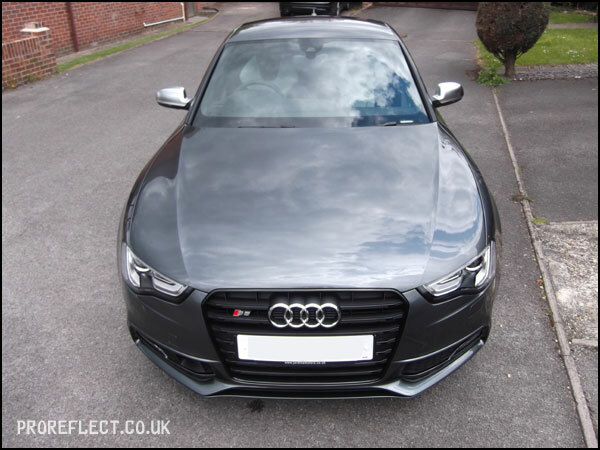 Hats off to the dealer for doing just that as it meant Pro Reflect could get the S5 protected properly without any major paint correction. 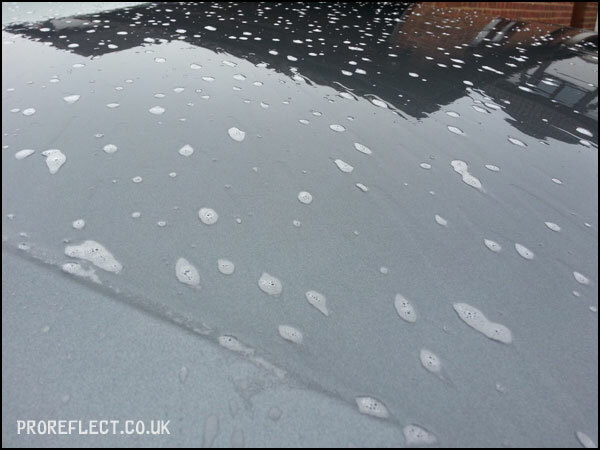 First thing to do was to fully decontaminate and wash the Daytona Grey Pearl S5, before moving it inside where it was blown dry with the Master Blaster. 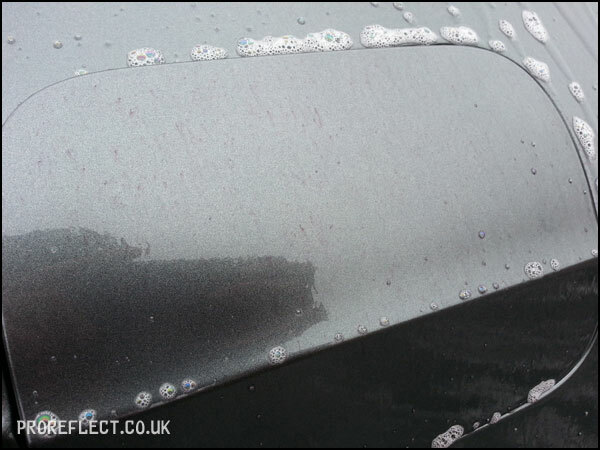 It was only then that I could inspect the paint properly and this led to a dozen or so areas requiring a light polish to remove surface marring and light scuffs. 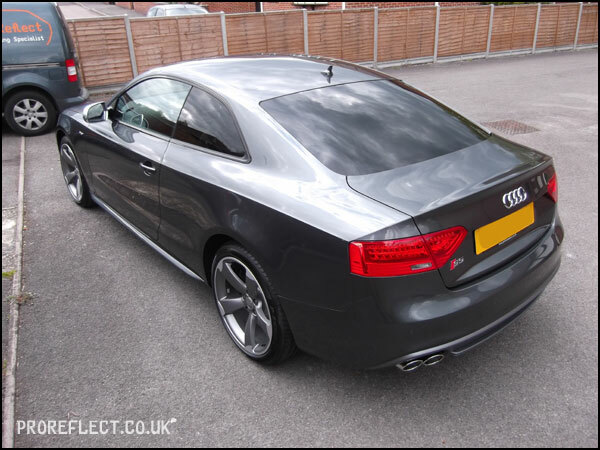 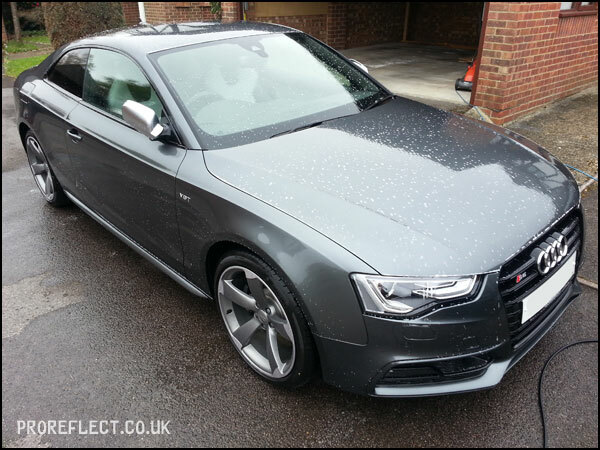 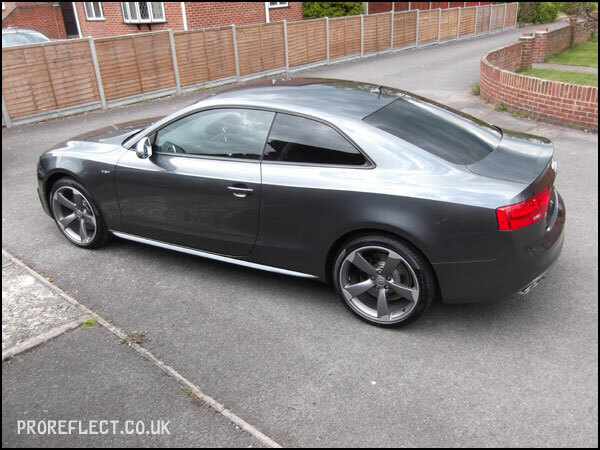 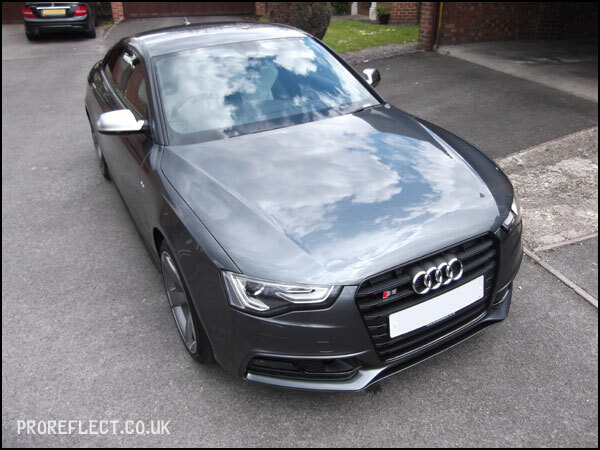 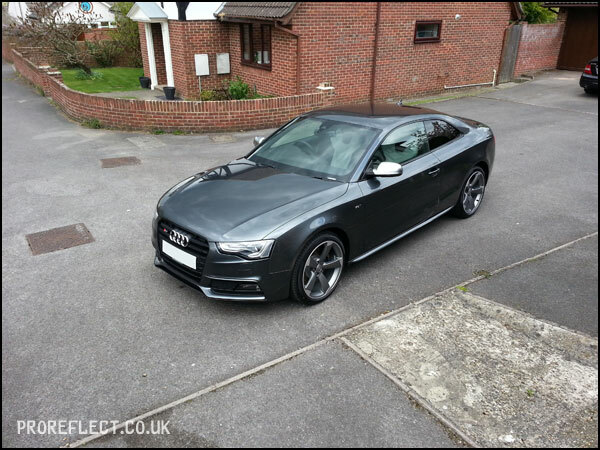 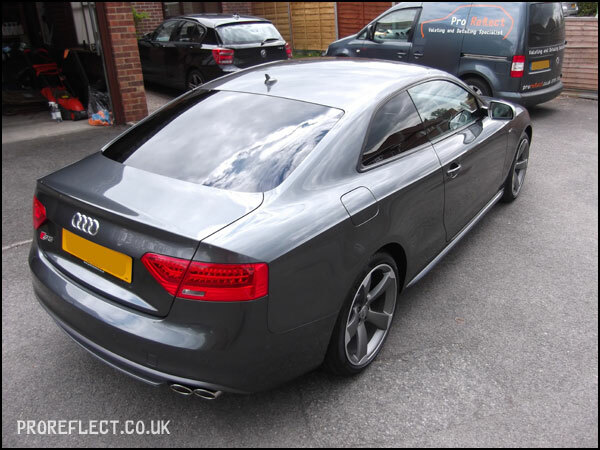 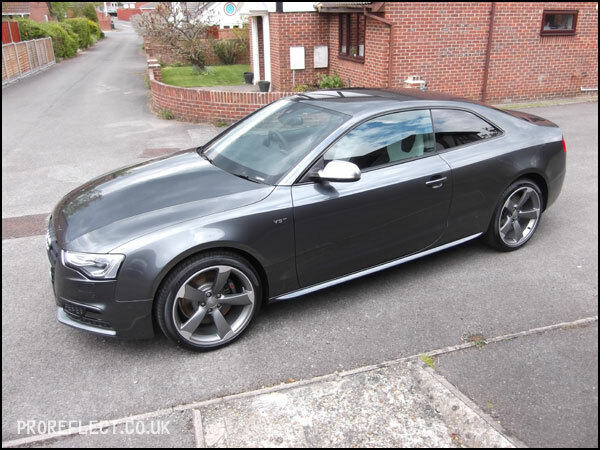 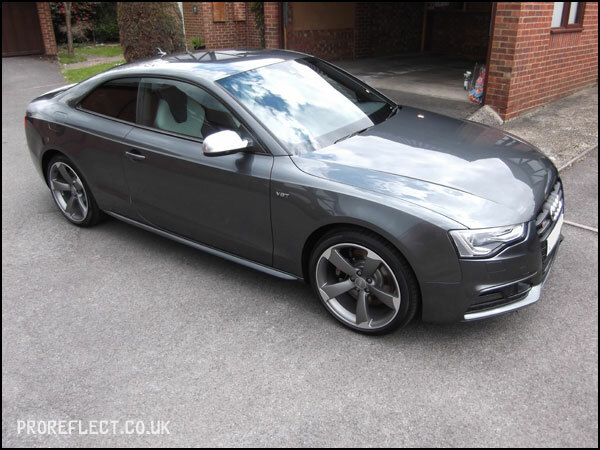 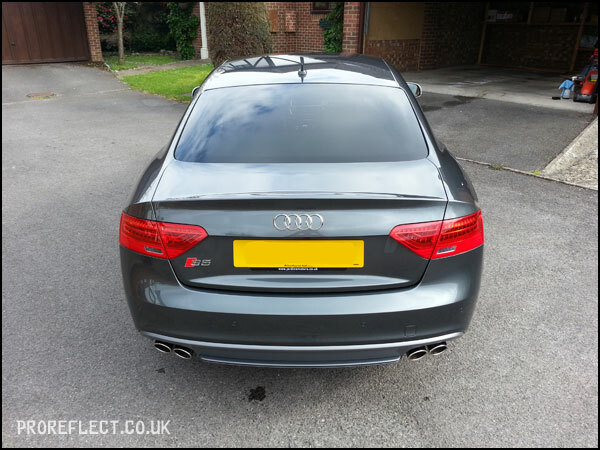 After a complete wipedown of all surfaces to ensure a good clean base, the complete Carbon Collective Platinum range including Oracle was applied to the paint, glass and wheels over a 2 day period and gave this S5 the best possible start in life. 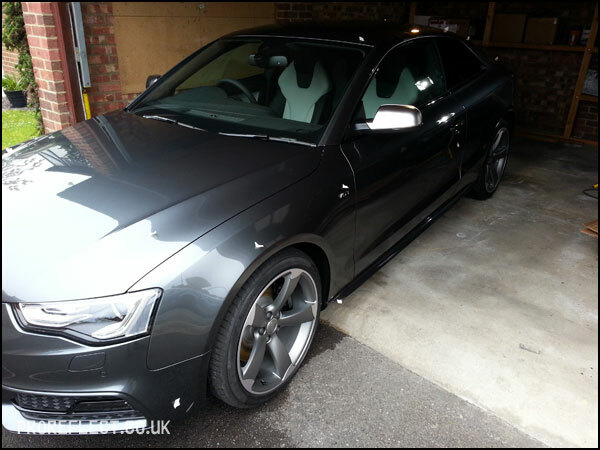 The whole car given a good rinse followed by a Citrus Degreaser that was left to dwell whilst the wheels were cleaned. 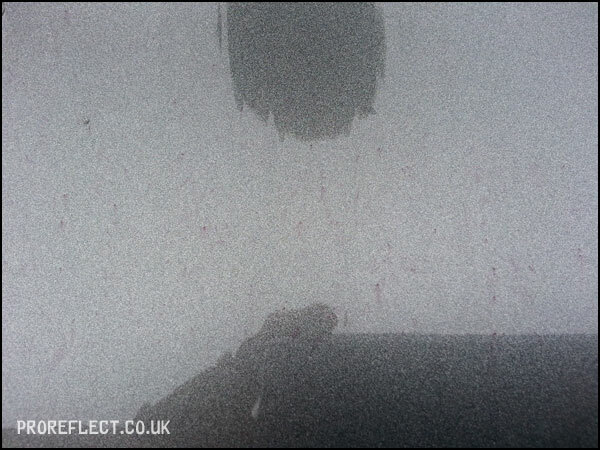 Citrus Degreaser breaking down the traffic film and bugs before being thoroughly rinsed. 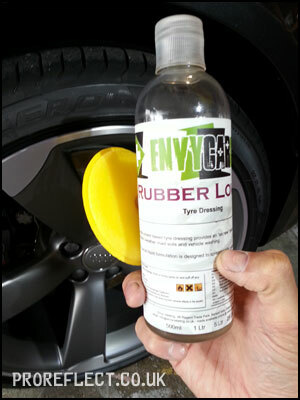 Next up was to soak the entire car in Iron Awe by EnvyCarCare. 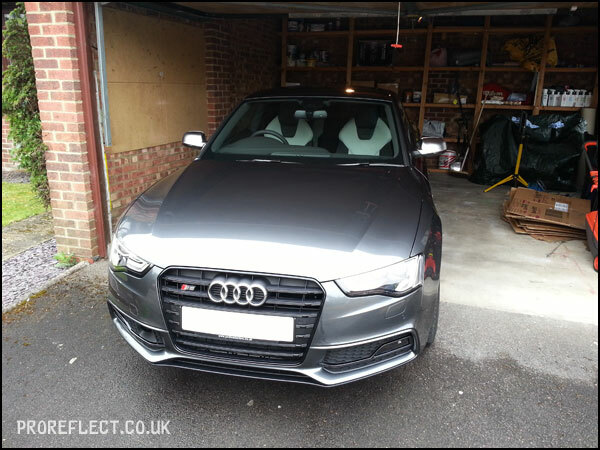 Although brand new, the car has been sat around for a few weeks whilst being transported to the UK and has picked up plenty of metallic fallout. 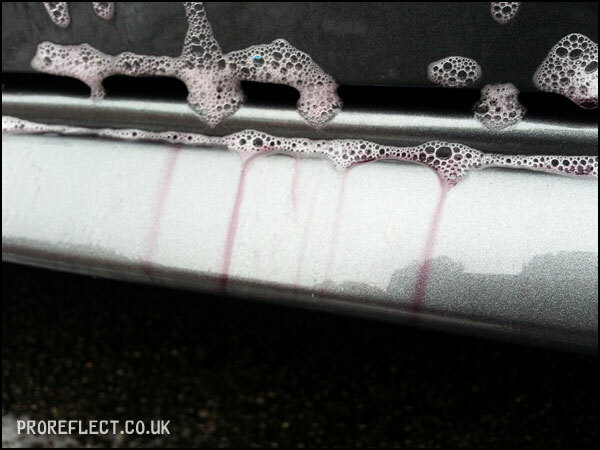 A further thorough rinse to remove the now dissolved metallic fallout, followed by a 2BM wash and a final rinse. 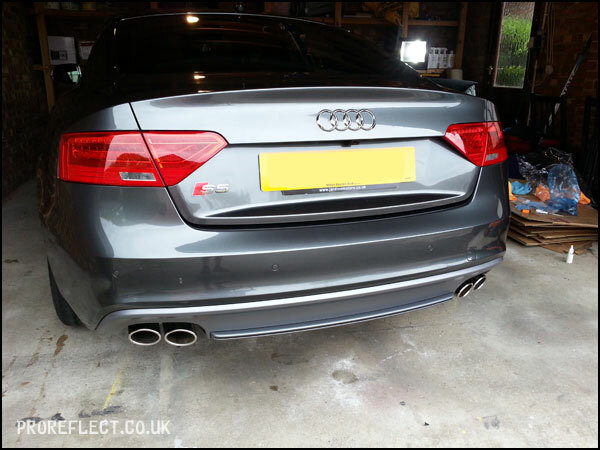 Moved back into the garage and blown dry with the Master Blaster. 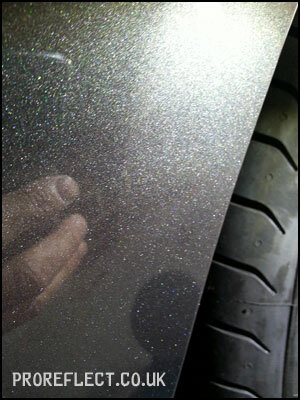 Once dry, I measured the paint thickness to make sure no unexpecting horrors and everything was good. 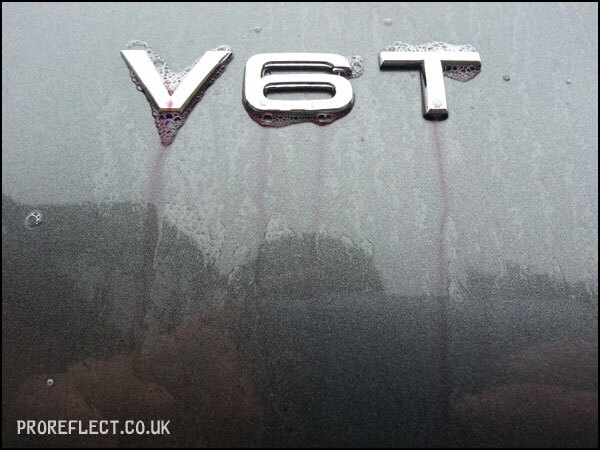 The little bits of masking tape indicate paintwork defects. 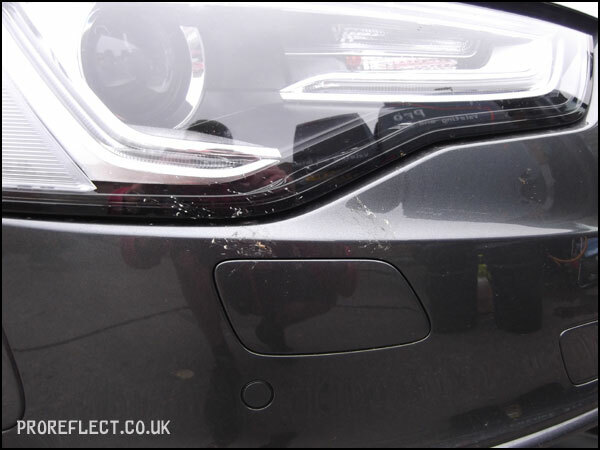 The little bits of masking tape indicate paintwork defects. 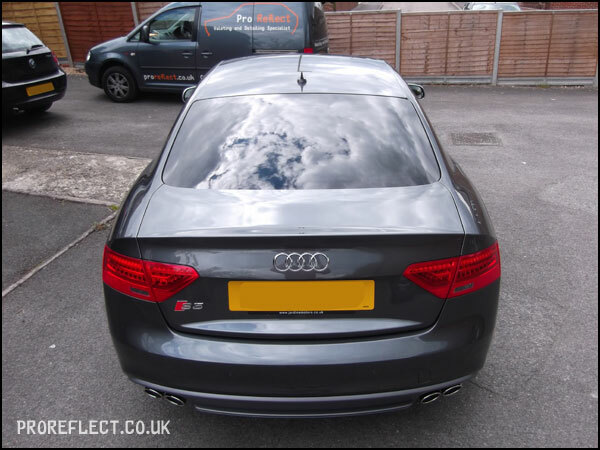 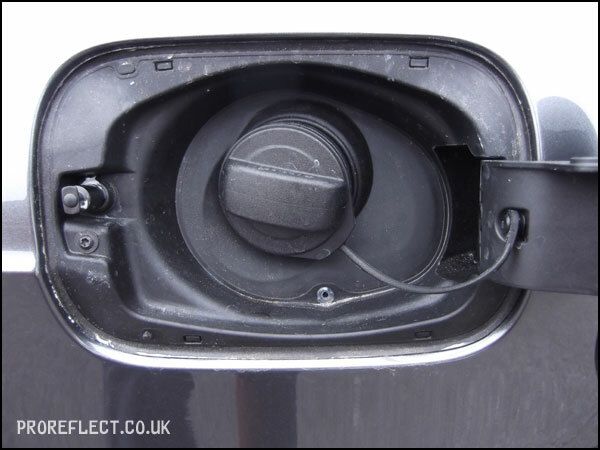 Light marring from the protective wrappers that the dealer had removed but nothing too major and these were quickly dealt with. 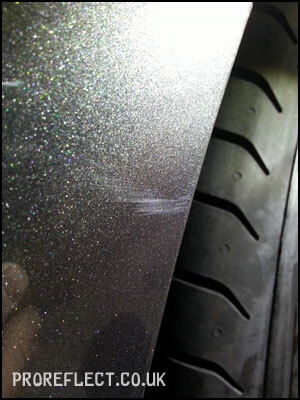 Offside rear wheel arch had the most noticeable scuff so not too great for 144 miles…..but nothing to get your knickers in a twist as it was quickly removed with a light finishing polish. 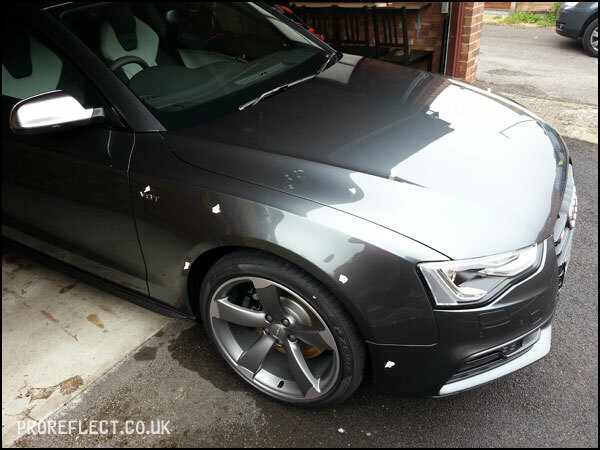 All paintwork surfaces wipe down to remove polish residue, fingerprints etc to ensure a good base for the Carbon Collective Package. 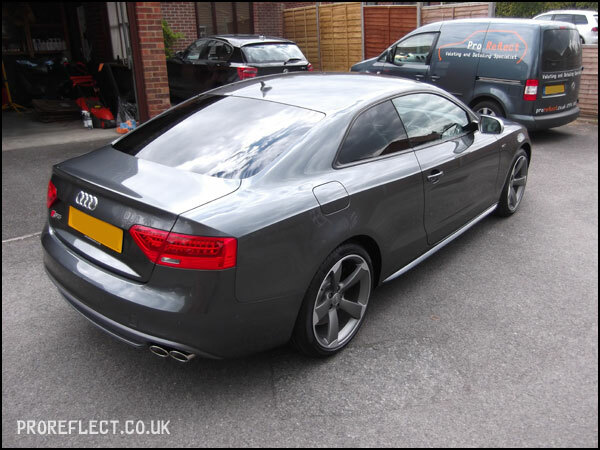 Nearing the end of day one, I had given the S5 a coat of Platinum Paint and I wanted to do this because it meant it could cure properly overnight before applying Oracle. 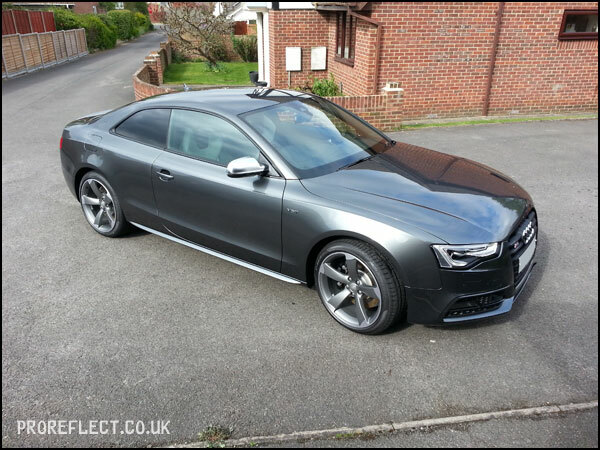 The S5 wearing only Platinum Paint but looking good in the late afternoon sun. 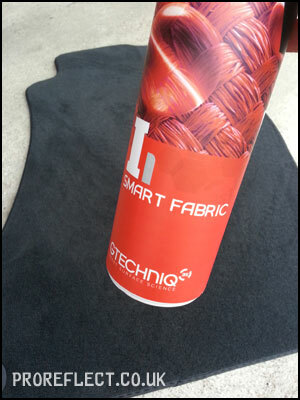 Before calling it a day I protected all four mats with Gtechniq I1 so that they could properly dry overnight before refitting them into the car. 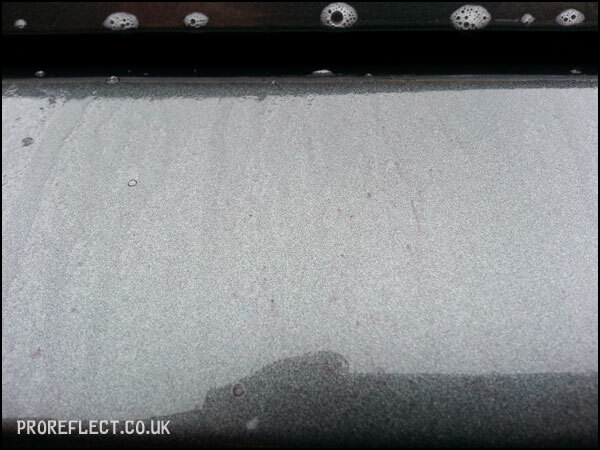 No photos of the Oracle application but this was the first thing to do on day two, followed by sealing the glass with Platinum Glass. 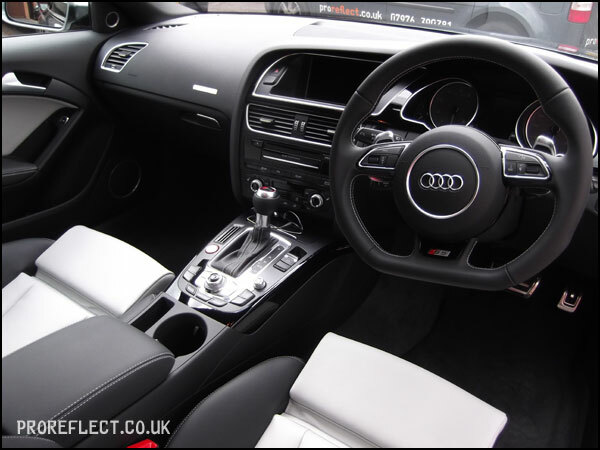 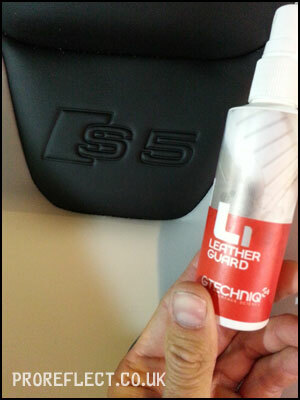 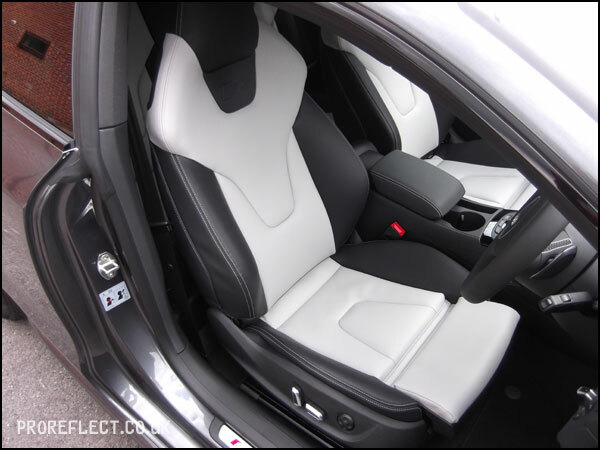 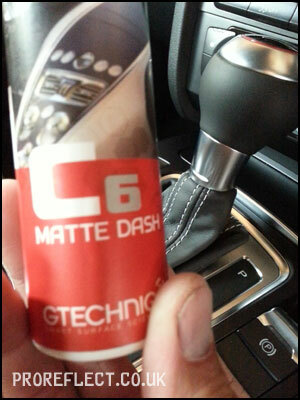 The interior leather was treated with Gtechniq L1 to combat against dye transfer. 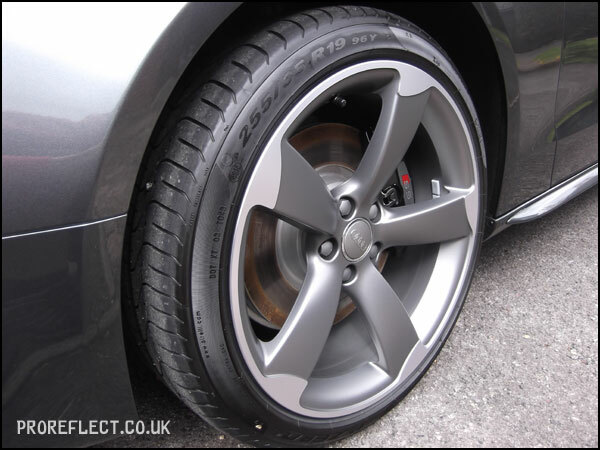 The outside faces of the wheels were sealed with Platinum Wheels and tyres dressed with Rubber Lover by EnvyCarCare. 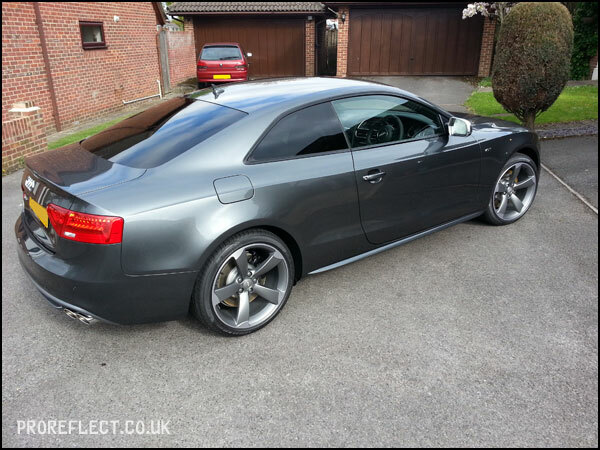 Carbon Collective Platinum Wheels and EnvyCarCare Rubber Lover – the perfect combination. 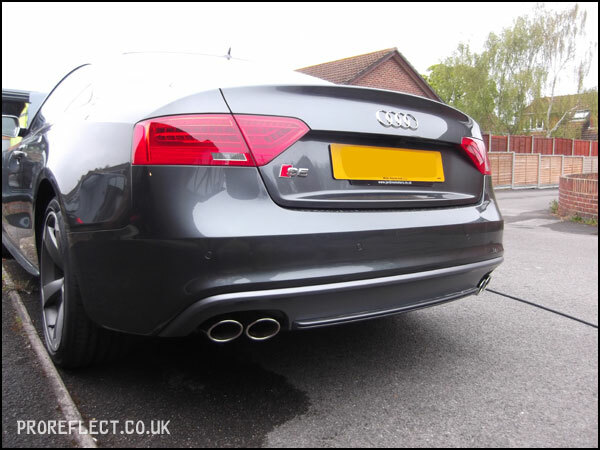 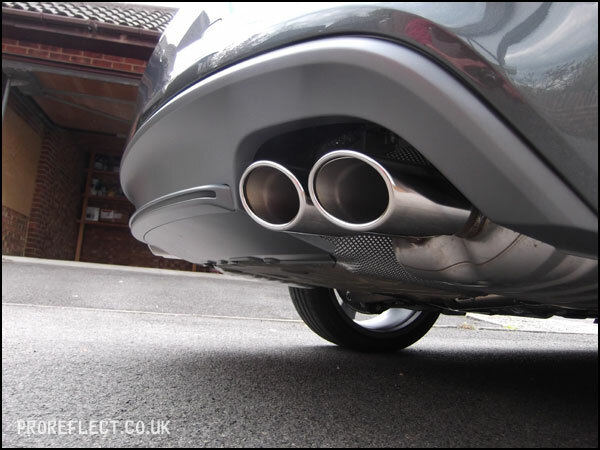 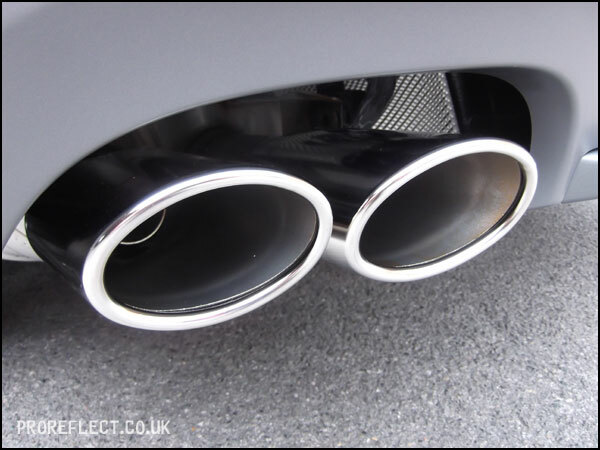 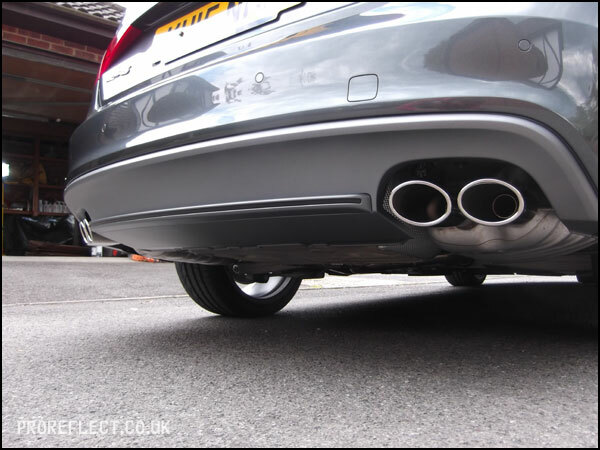 Exhausts cleaned and polished with Gtechniq M1 before being sealed with Carbon Collective Platinum Wheels. 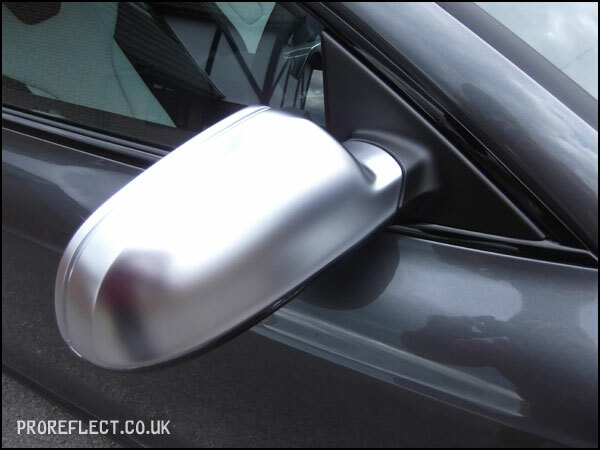 All exterior plastics which includes these mirrors coated with Carbon Collective Oracle. 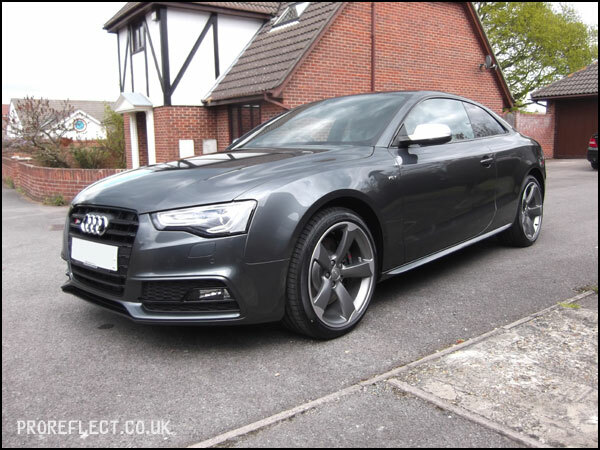 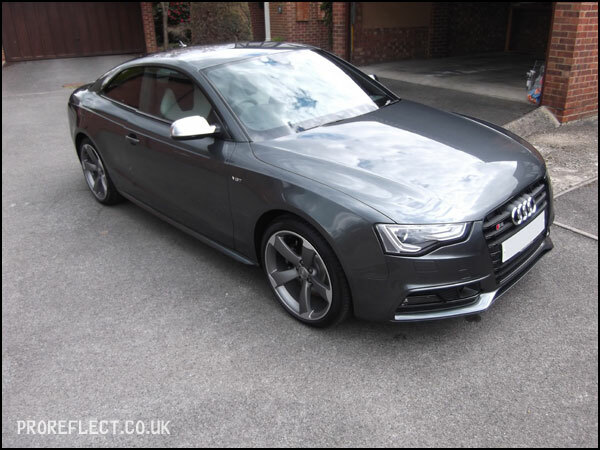 The finished results – Carbon Collective Platinum Wheels, Glass, Paint and Oracle giving the S5 the best possible start in life.